This Immigration Vacation visits a rich historical site with great views and a unique natural setting that was appreciated as much by the immigrants who used it in 1861 as it will be by you today. After the disastrous Battle of Bull Run in July 1861, Lincoln decided the country needed a large army of volunteers to have any hope of defeating the Confederacy. One of the first of the new units organized was the Irish Brigade. 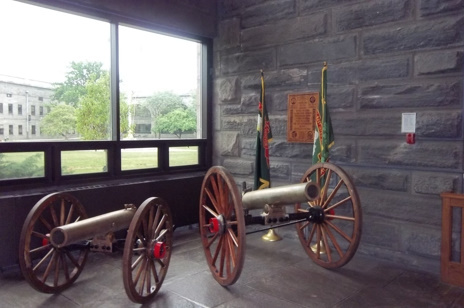 Two of the regiments of the Irish Brigade – including the famous Fighting 69th Infantry Regiment in the New York State Militia – trained during the fall of 1861 at Fort Schuyler in the Bronx. I’ve passed over the old fort hundreds times when I’ve driven the Throgs Neck Bridge without ever stopping in. While writing The Immigrants’ Civil War I decided I had to take a look. One foggy day I drove up the bridge, paid my $6.50 toll in the extreme-right toll booth, as I had been advised by the fort’s staff, and exited immediately after paying the toll. I followed the signs to SUNY Maritime College, which is on the grounds of the fort. In fact, the fort itself has been renovated as a thick-walled classroom. As I drove up to the fort I got a little nervous. Armed shore patrols guarded the gated entrance. I learned that the gate on the right was to the Naval Reserve base. The gate on the left was to the college and fort. 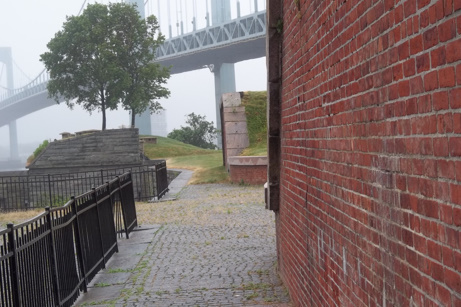 Take the gate on the left and drive past the campus to the fort at the end of Throg’s Neck. 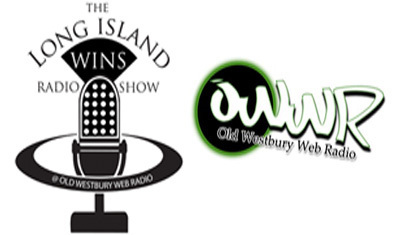 Here you’ll be rewarded with amazing views of City Island and Long Island Sound. There are a few picnic tables if you want to bring your lunch. 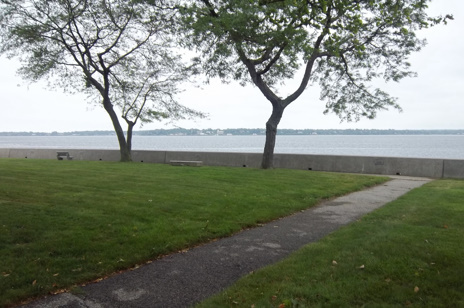 There is also a competition-grade jogging path along the shoreline if you are inclined to run. 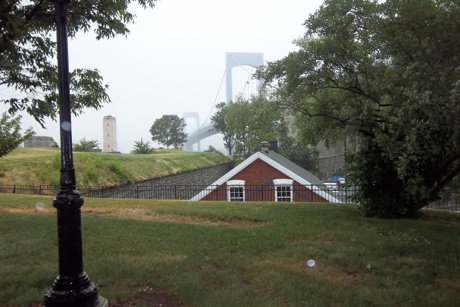 Walk the grounds of the more than 160-year-old fort where ancient brick buildings squat next to the Throgs Neck Bridge. The weird angles of the fort make for intriguing pictures. You can cross into the fort over an old drawbridge that once spanned a small moat. The fort itself is well maintained, if poorly interpreted. There are few signs here to tell you what you’re looking at, so visit the fort’s website ahead of time to find out its history and architecture. Fort Schuyler, named in honour of General Schuyler, commands a splendid view of Long Island Sound…the situation of the fort, on a jutting neck of land, is delightful. Here the men spent their time pleasantly…reclining on the grass, watching the innumerable sloops and steamers floating by, or perched along a beach, rod in hand, awaiting a nibble, or perhaps watching the declining sun gilding the woods with its golden beams, while around was diffused the purple haze of an Indian summer. This was the Alma Mater of the Brigade, where it learned its A B C of military tactics. Here friendships were formed to be severed only by death. Here they were visited by their wives and children, and many a pleasant day passed over in sweet forgetfulness…This soon passed away. 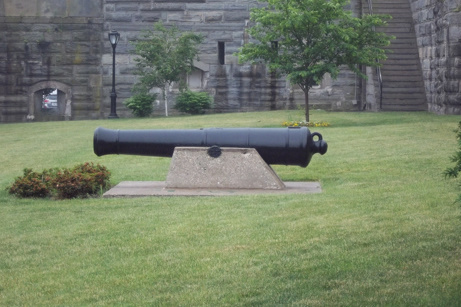 Although the fort has lost much of its martial aspect and fort’s cannons, which once poked out through openings in its wall, have been replaced by portable air conditioning units, some cannons still can be seen. 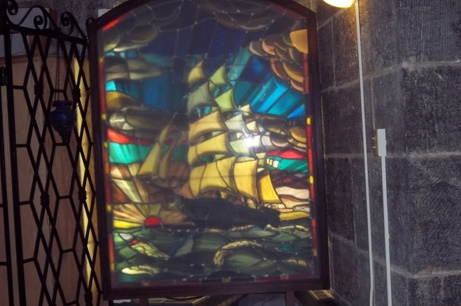 You can also visit the fort’s chapel with its nautically themed stained glass. The fort’s Maritime Industry Museum has a small memorial to the men of the Irish Brigade. 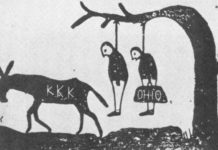 With the 150th anniversary of the Civil War, the site would benefit from better interpretation of this aspect of its history. The museum itself fills in some aspects of America’s immigration history. It is filled with gigantic ship’s models, some more than six feet long. Many, like this model of the Bremen, portray ships that brought hundreds of thousands of Germans, English, Irish, and Eastern European immigrants to New York. 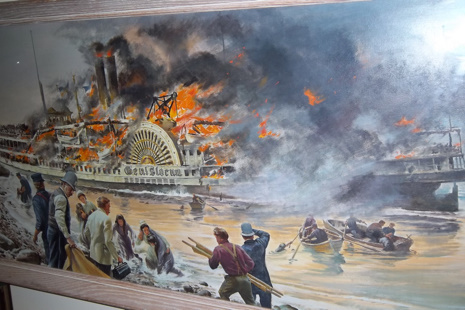 There is also a small exhibit on the 1904 General Slocum disaster. 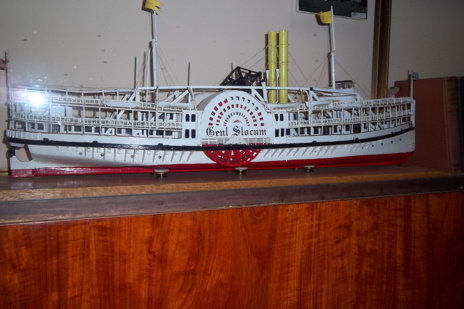 The steamboat General Slocum was taking German immigrants from the Lower East Side to a picnic on Long Island when it caught fire. More than 1,000 people were killed. This was the worst loss of life in a disaster in New York prior to September 11, 2001. 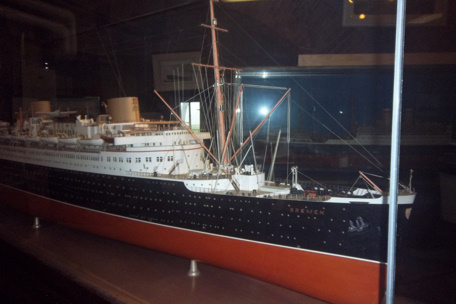 The museum also has a model of the doomed ship. Finally, all of you who ever called this area “Frogs Neck” as kids will find some vindication in this Revolutionary-era map at the museum’s entrance. The lack of interpretive signs describing the history of the site is a major demerit. However, the link to the museum website will also take you to more detailed historical materials. A visit takes about an hour, longer if you picnic. Because of the high cost of the bridge toll ($13.00 roundtrip), Long Islanders may want to visit the fort in conjunction with other travel. 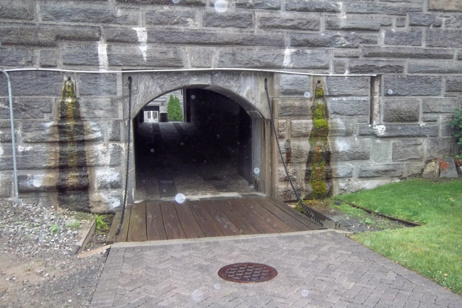 Be careful walking inside the fort, its floors are uneven and falling on stone is not pleasant. 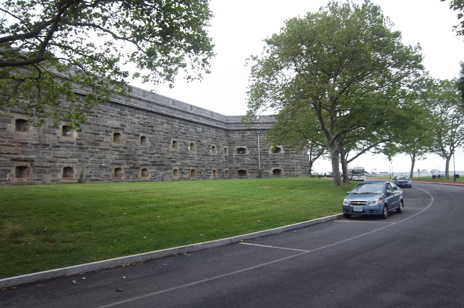 If you are interested in visiting a good museum devoted to New York’s harbor forts, go to the National Park Service’s Fort Wadsworth unit on Staten Island, right under the Verrazano-Narrows Bridge. 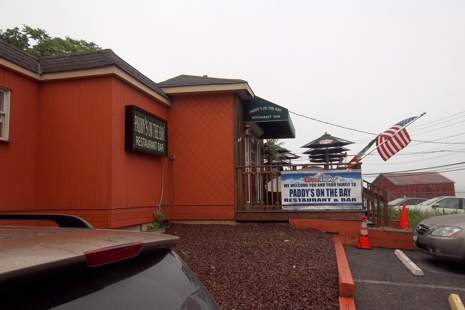 When you leave Fort Schuyler, there is an Irish pub right past the gate where you might want to lift a pint of Guinness ($5) to the Fighting 69th. Pub food is available there at Paddy’s on the Bay. The fort and its museum are free. Click here for the hours of the museum. Here is a link to a history of the fort. 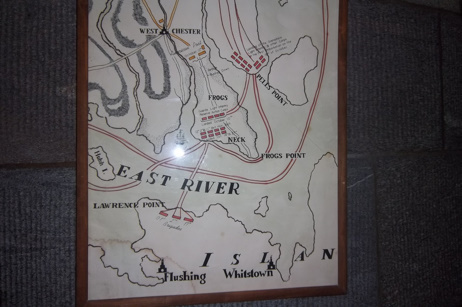 Click here to read about how the fort is tied to the Irish Brigade. Click here for directions to Fort Schuyler. 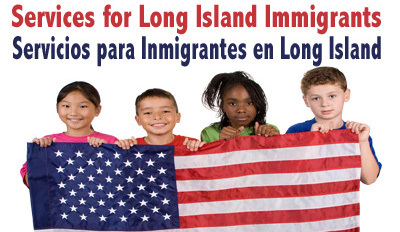 Immigration Vacation takes you to places around the New York area where you can explore our region’s rich immigrant heritage. Each installment features images and video, directions to the site, and links to ticket prices and hours. If your family came to New York before 1892, this is likely where they landed. Italian and Chinese immigrant life in New York City and the Jewish refugee experience on view in one of the best free museums in the Northeast. 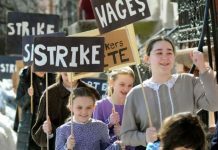 Great way for kids to learn the vital role of immigrants in industrialization and labor protection. 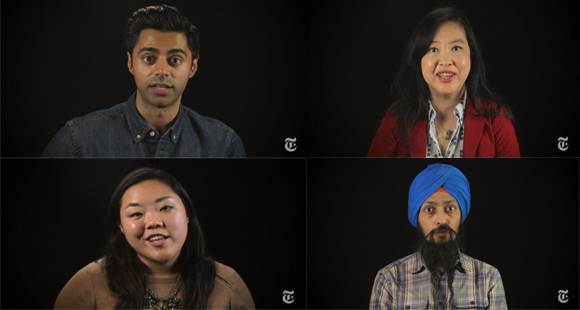 Kids from ages four and up can learn about the tough jobs our immigrant ancestors did. Nature, exercise, and immigrant history in a park 100 feet wide and 26 miles long. Some of our ancestors came here for freedom, and some came simply to be able to eat. Some came for both. Great for teens and ‘tweens. Irish, German, and Jewish life on the Lower East Side. Long Island Monument to Immigrants Who Died Coming to America.